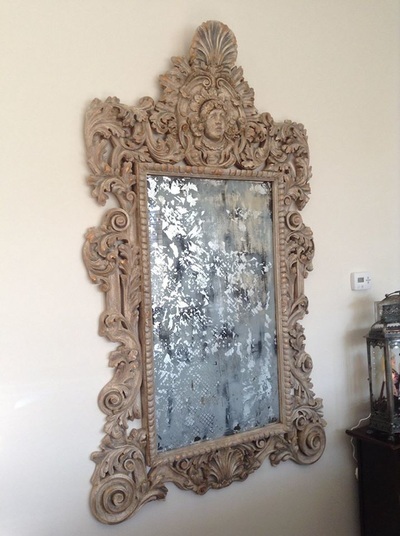 I found this vintage mirror on Craigslist. 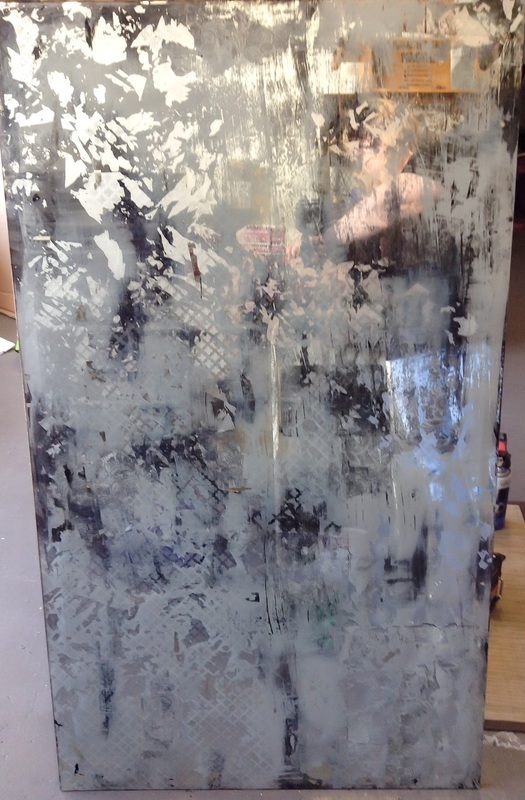 Overall size: 82 x 50 x 4". 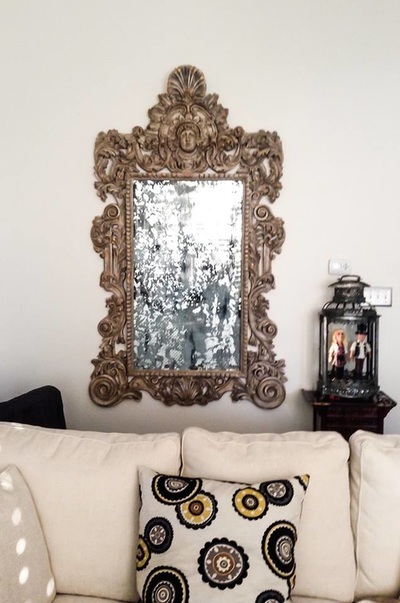 Mirror size: 47 x 27". 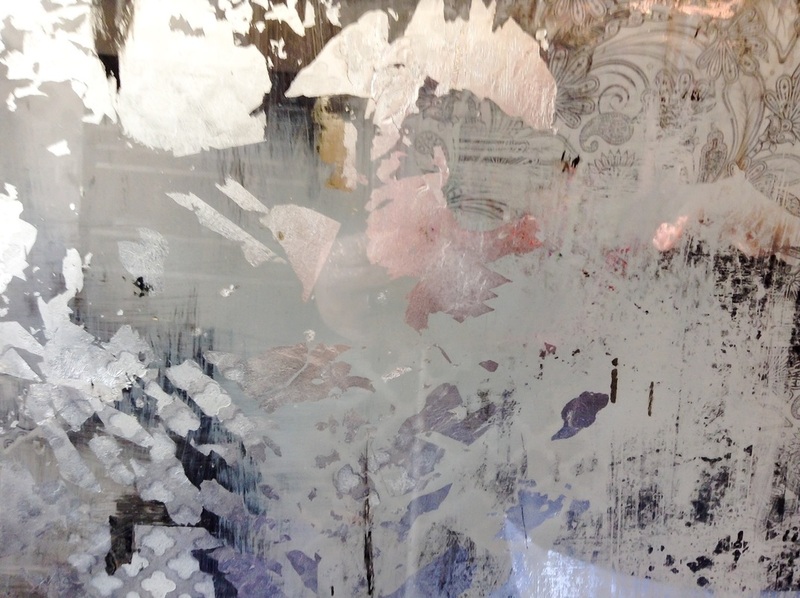 Altered with paint, silver leaf, vellum.